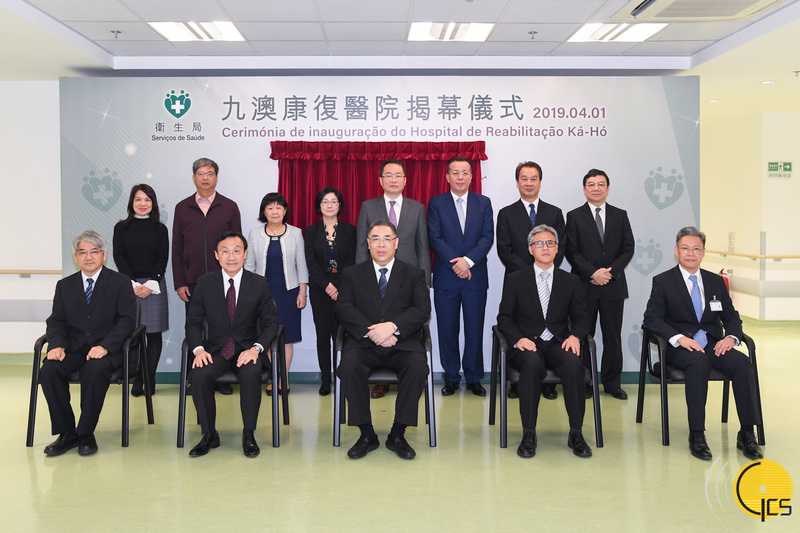 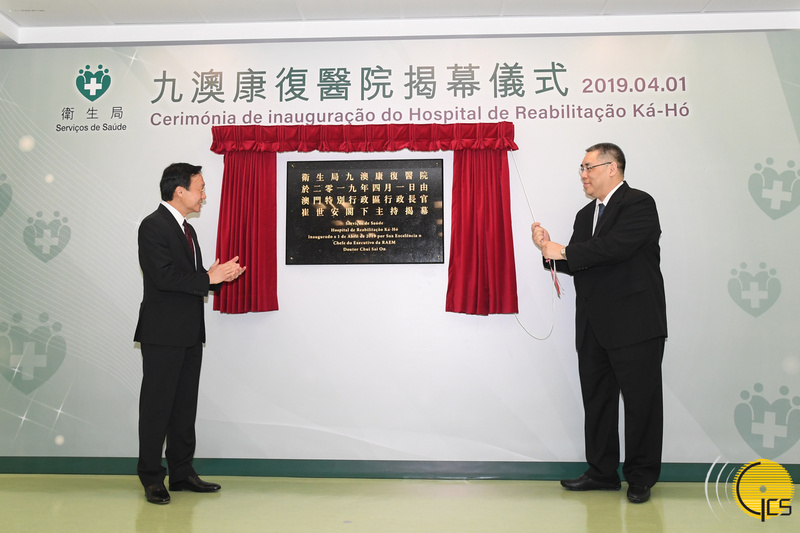 The Chief Executive, Mr Chui Sai On, attends the inauguration ceremony of the Ka-Ho Rehabilitation Hospital of the Health Bureau. 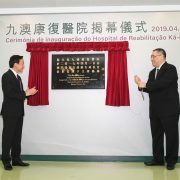 The Chief Executive, Mr Chui Sai On, unveils the plaque of the Ka-Ho Rehabilitation Hospital of the Health Bureau. 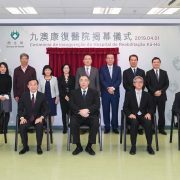 Previous: Secretary for Economy and Finance, Mr Leong Vai Tac, attends the Spring Reception of the Macao Federation of Food Merchants.